The Rainshower® F-Series of shower heads and body sprays provides total freedom, affording consumers the flexibility to create their preferred interaction with water. 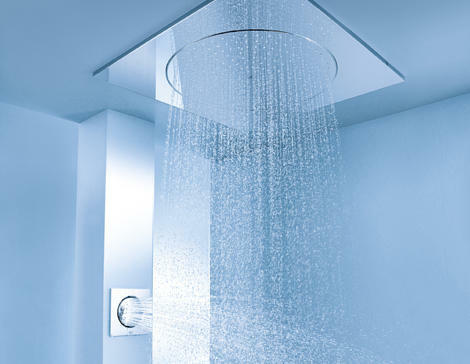 The super-flat panels blend seamlessly into any environment, maximizing the showering space. Combined with a thermostat and hand shower from one of GROHE’s contemporary faucet lines, Rainshower® F-Series creates a customized showering zone that adheres to the GROHE Sensual Minimalism philosophy – minimalist in design, yet comfortable, functional and enticing to use. Discreet luxury. 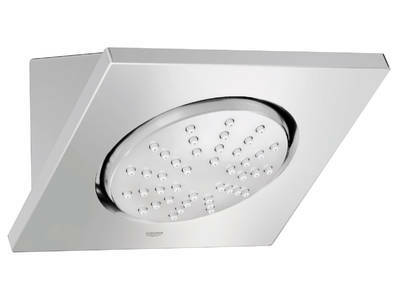 Rainshower® F-Series Digital uses the latest wireless digital interfaces and industry-leading technologies to deliver a range of unique and unforgettable showering experiences. 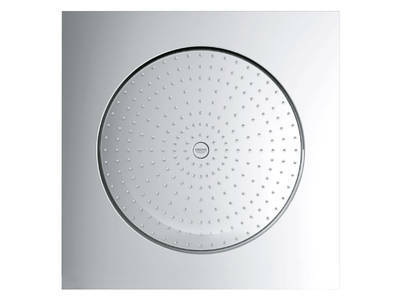 Ultra-flat shower heads integrate seamlessly into the walls and ceiling of your shower and are partnered by a digital controller – simply press the corresponding buttons to start or stop the water and adjust the temperature and use the dial around the outside to control the water flow. 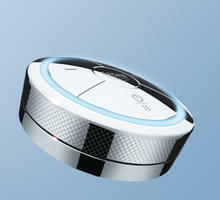 Enhanced by an illuminated ring, the digital puck gives you instant visual feedback of the water temperature. 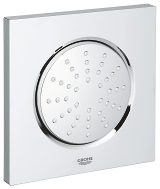 The digital controller is accompanied by a digital diverter, for effortless switching between the head shower, hand shower or body showers. 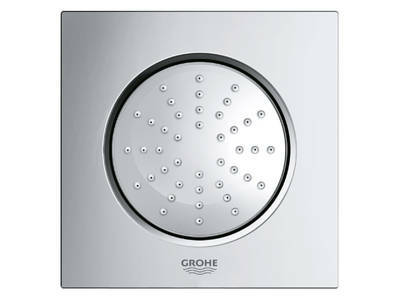 And for maximum comfort, a remote control lets you start your shower from outside the shower area.